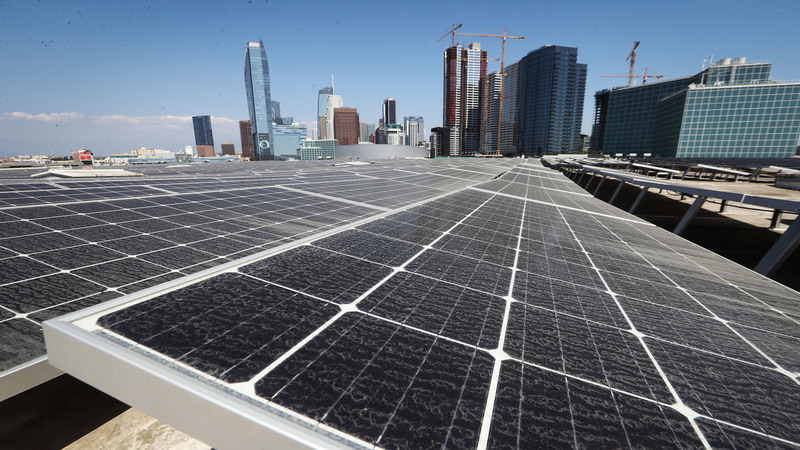 California Sets Goal Of 100 Percent Clean Electric Power By 2045 Gov. Jerry Brown signed a bill mandating that ambitious goal on Monday. He also issued an executive order calling for statewide carbon neutrality by the same year. A previous version of this story stated that California was setting a goal for 100 percent renewable electrical energy sources. In fact, the ultimate goal calls for zero-emissions sources, which include renewable resources as well as nuclear power, which is a non-renewable zero-carbon energy source.